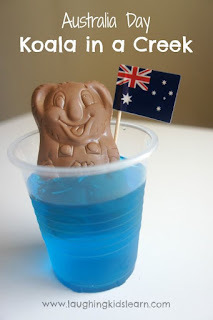 Australia Day is nearly upon us for another year. 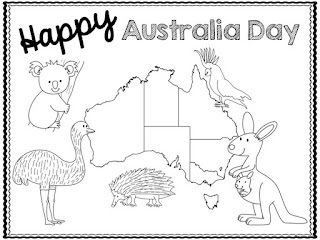 Australia Day sits at a funny spot in the school year doesn't it. Some states are back at school for the new school year, others are still on holidays. Back to school in Victoria always falls around the time of Australia Day, but I still always take the opportunity to celebrate it with the kids, even after the time. 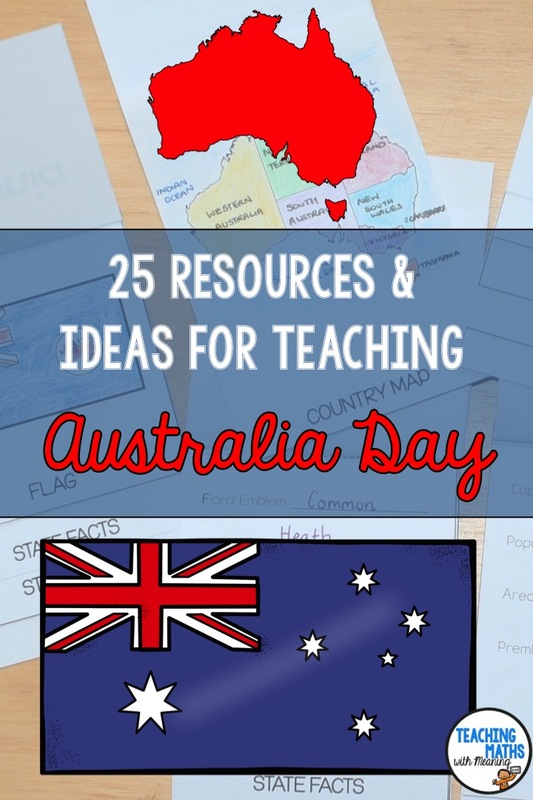 With the back to school craziness I have you covered for great resources, easy preparation and purposeful learning about Australia Day. 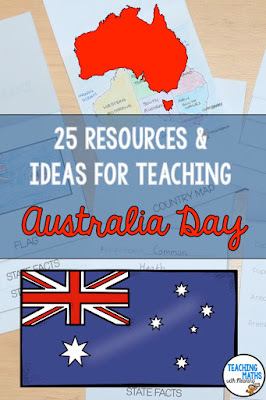 Below you will find 25 Resources and Ideas for Teaching Australia Day. 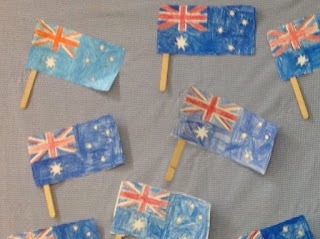 Use the template for students to make their own Australian Flag. 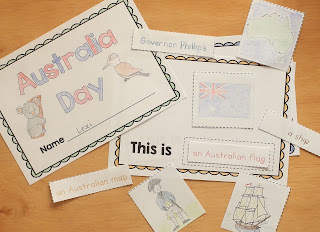 Use the 4 template pages included in my Australia Day pack to make an Australia Day book. Symbols of Australian Flag, Australian Map, Aboriginal, Ship (First Fleet) and Captain Phillips are included. 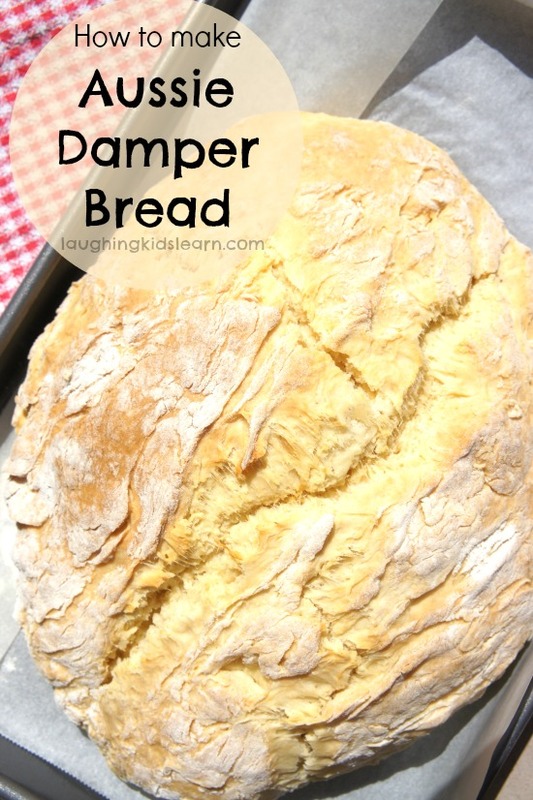 Perfect for early learners. 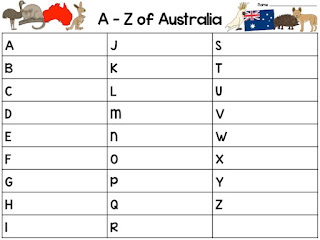 Students think of an Australian word to begin with each letter of the alphabet. Ideas are included for teachers! 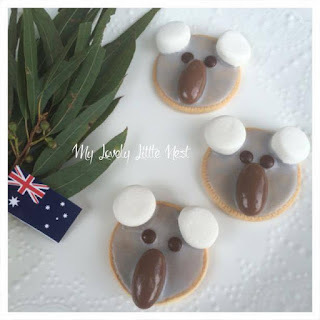 Aren't these Koala Biscuits the cutest? I found them on pinterest and just had to include them in my list. All instructions are included on My Little Love Nest. 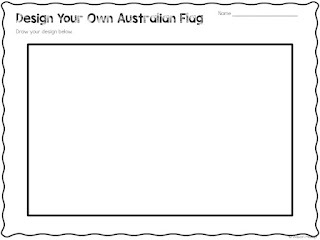 Students use the template provided to reflect on their culture and design their own Australian Flag. Writing prompts are also included. 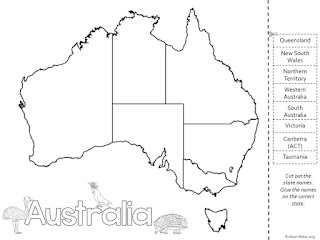 Australian states are jumbled up on a worksheet ready for students to cut out and stick back together. Easy activity to prep, purposeful create a great display in your classroom. Other map resources also included. Including; The best thing about Australia Day is..., What does it mean to be Australian?, Why, who and how do we celebrate Australia Day? 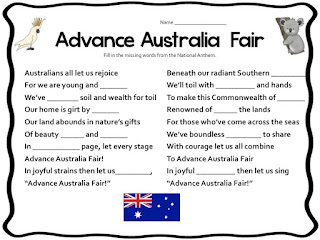 Fill in the missing words on this National Anthem Cloze. 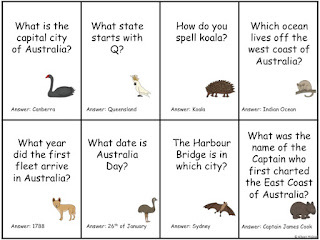 Students read through the information and then answer the questions, learning more about Australia as they go. Australia Day is in summer and is celebrated in many family and friendship groups with a big BBQ. 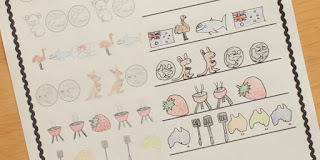 Students design their own BBQ Menu that is quintessentially Australian. 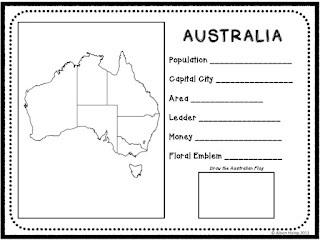 This is a simple activity where students colour in Australian symbols and paste them in a book. Free, quick and easy!. 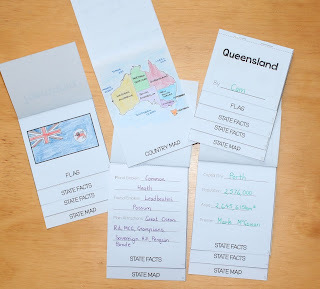 Learn more about each Australian State with these flipbooks. Easy to prepare (copy of one page per student), simple research for the students and easy to put together. Another great pinterest find. This one is thanks to Danya Banya. Check out all the instructions here. 10 different colouring pages included. Plenty of variety for students to choose. 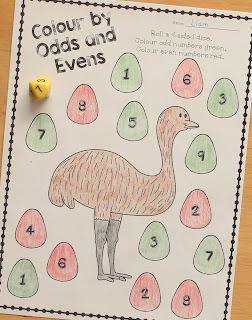 Maths activities focusing on counting, numbers, colours and shapes using dice. Plenty of variety and both color/colour worksheets included. 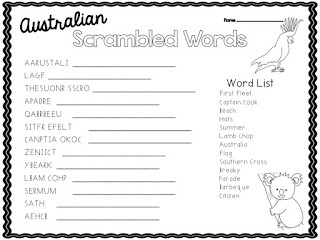 Students unjumble these Australian words. 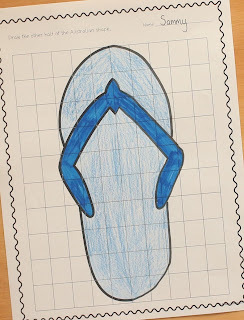 Students complete these Symmetry activities with an Australian theme. 5 pictures included, with and without grid. 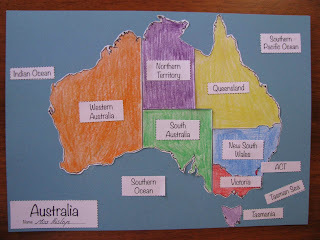 Students cut and paste the names of Australian states and territory into the correct position. 20. Koala in a Creek All! What kid wouldn't love a Koala in a Creek? Another fabulous pinterest find thanks to Laughing Kids Learn. 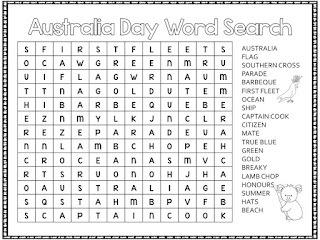 Game included in this Australia Day pack. 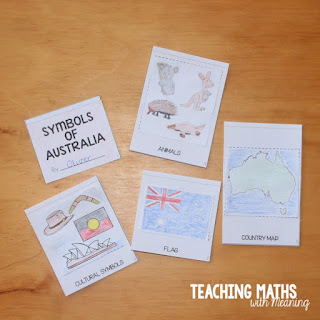 Students complete these patterns using pictures unique to the Australian culture. Following the patterns is easy, drawing the pictures is tricky! 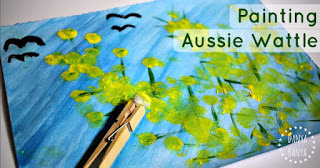 There are many outlines online for doing some Aboriginal dot painting with your class. The kids love it, it takes little prep and they make a great display. I like these templates on Brisbane Kids. Otherwise, search on pinterest, there are some great ideas - these from Be A Fun Mum are simple to do for older children. Another great idea from Laughing Kids Learn. Definitely easier to make with your own children at home unless you have cooking facilities (or a teacher's aide) at school. State and Country fact files are included. 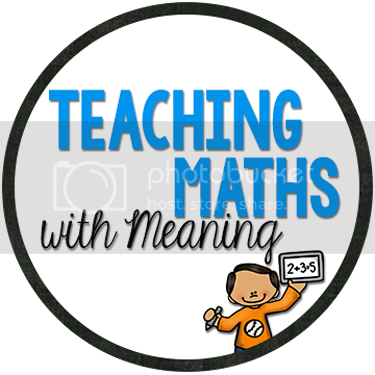 I hope you enjoyed these resources and ideas! And Happy Australia Day! It is really wonderful blog. This information is impressive. I am inspired by your post writing style and how continuously you describe this topic. As a reference, all of you can try browse this website australian writing to find more meaningful of knowledge. Thank you so much for this awesome post sharing.